Bags of coated paper of 250 grs. 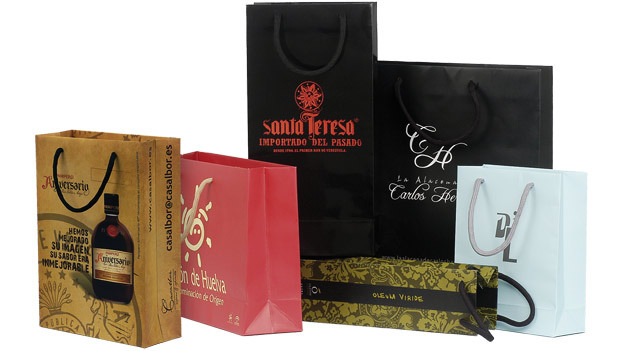 The bags are a perfect complement to your facility or company and are also an excellent advertising. They are also particularly suitable for exhibitions or events involving your company. Our bags, different from the usual bags printed in one color, are of greater presence and quality, printed in full color, fully customizable in gloss or matte finishes, made of cardboard (which gives more strength and presence), reinforced its bottom and edges and with a quality tote.